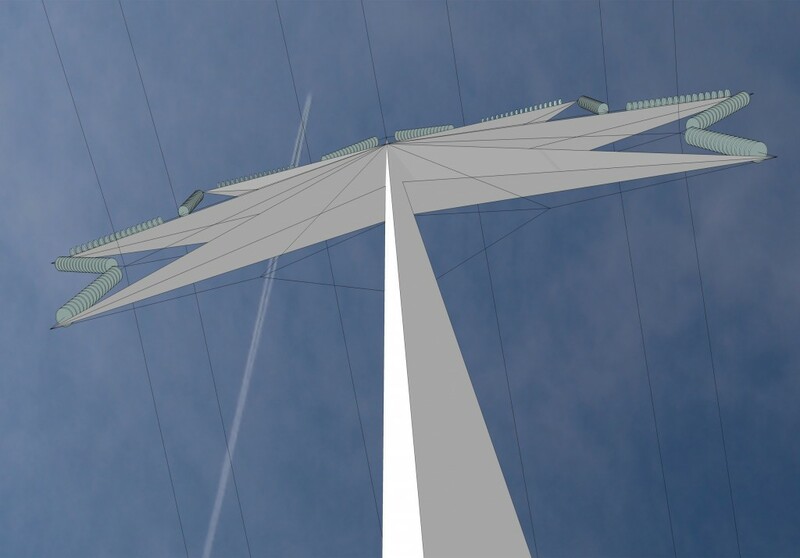 Unsurprisingly, market research into the public’s view of the current pylon design has revealed the main complaint to be related to its appearance. 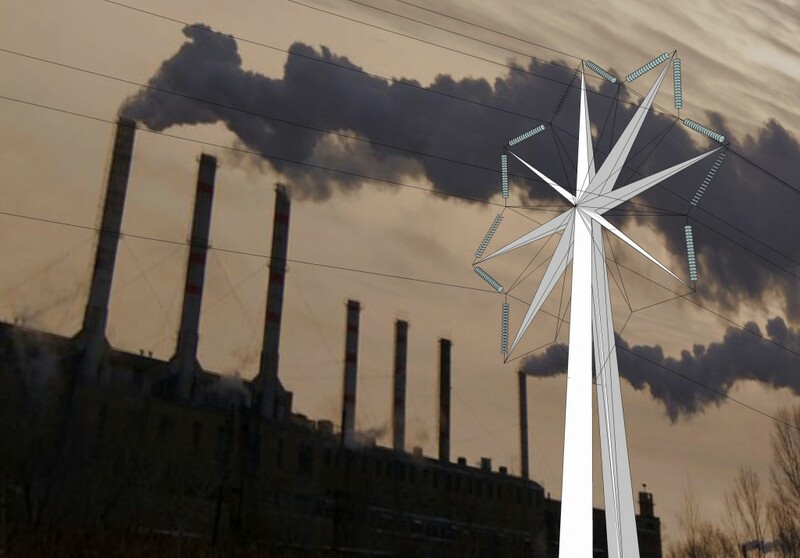 The pylon’s form is primarily concerned with structural efficiency, reduced materials and construction costs. Before now aesthetic considerations have been of secondary importance. Power stations are located in remote areas, particularly nuclear stations. Due to functional and economical requirements, pylons are large structures that stride across the landscape. It therefore seemed a simple concept to ground the pylon in a natural principle. 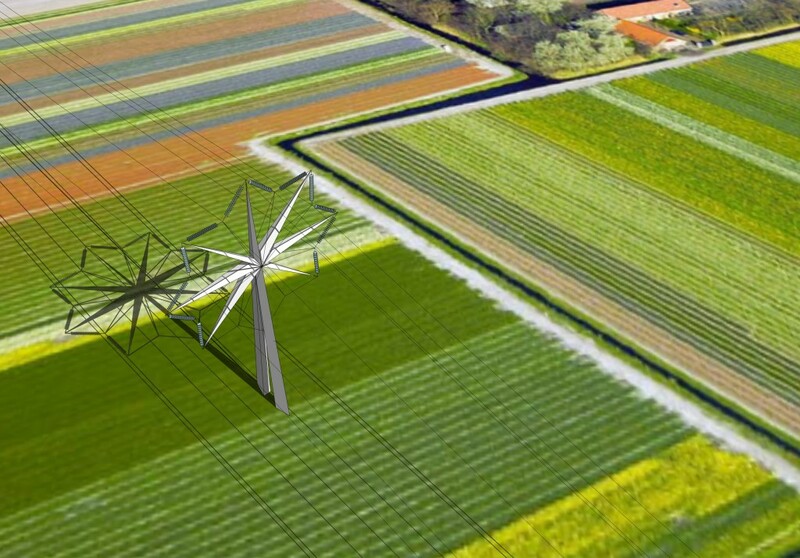 The pylon’s form must relate to visual elements and geometric forms present in nature. Our approach has been to design a structure which is sculptural in its form. We were inspired by various geometric forms in nature – the small perfectly formed crystal, the snowflake, flowers, and honeycombs. These shapes, with their regular and symmetrical geometries have been replicated in much industrial design. Competition entry in collaboration with Croft Structural Engineers.